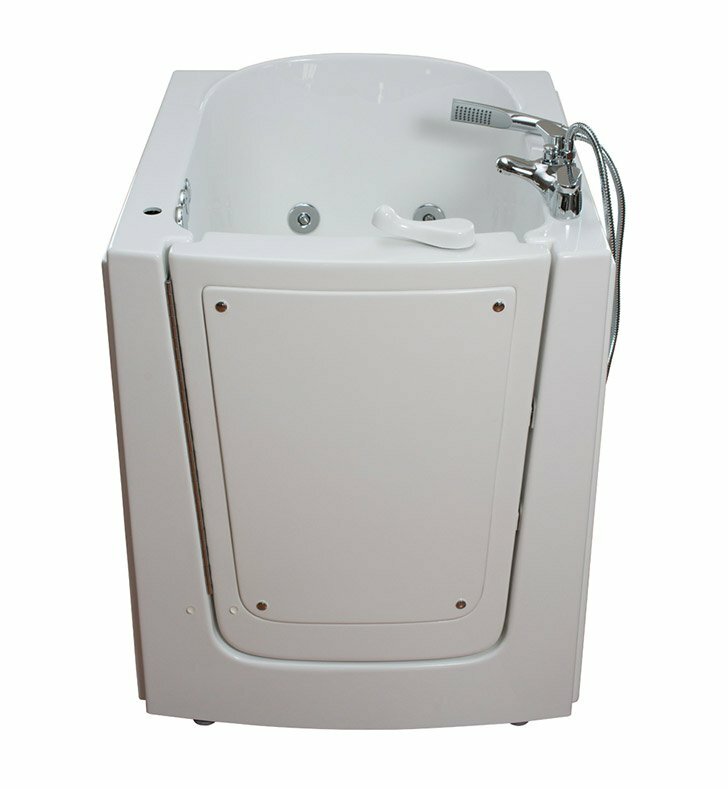 A soaker tub is a basic bathtub without air jets or hydro jets. 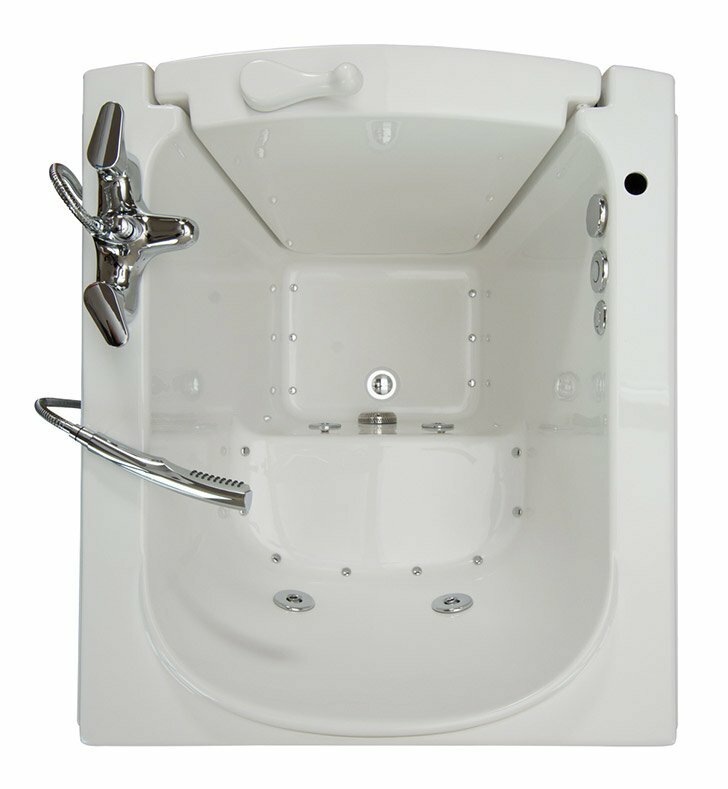 The Ella Front Entry Walk In Bathtub 33" x 38" features an outward swinging door and is made to fit into smaller bathrooms. 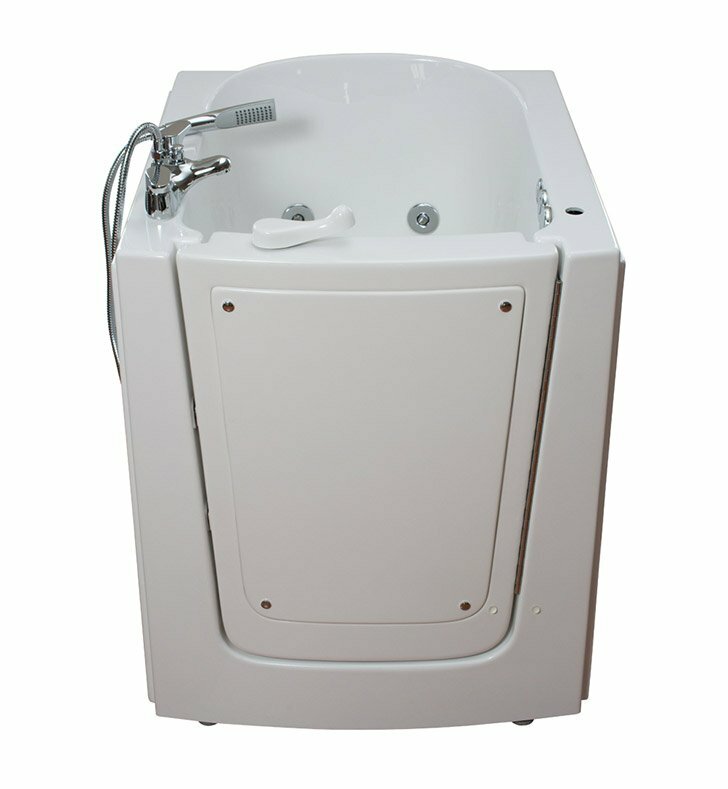 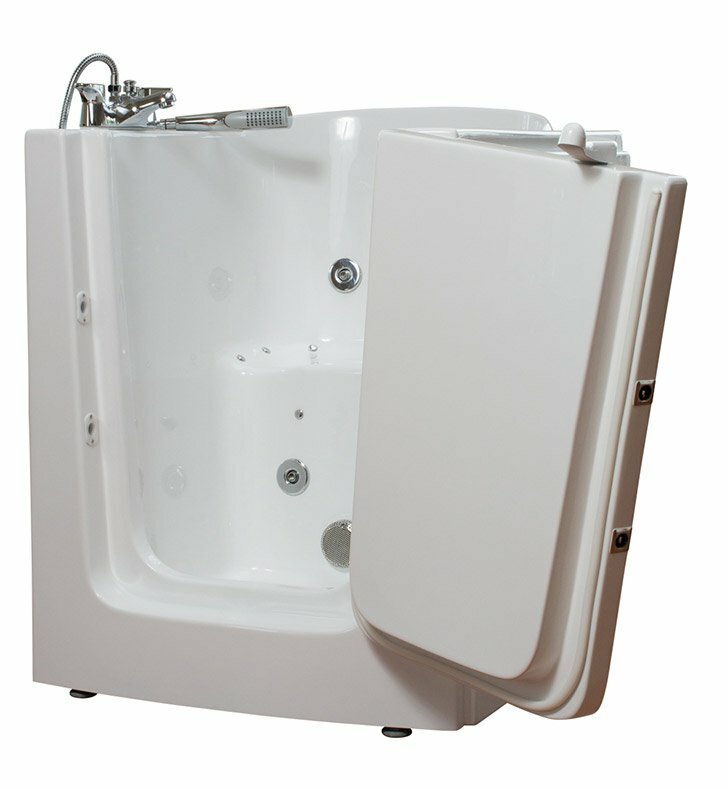 This compact front entry walk in bathtub can be installed in your bathroom as a free-standing walk-in bathtub. 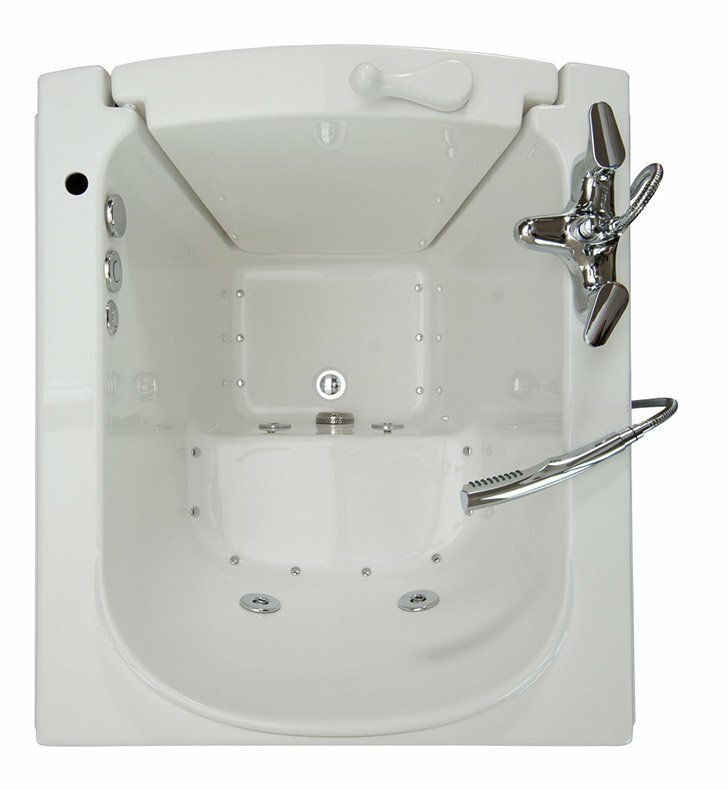 This high-quality walk-in bath is constructed of the highest grade fiberglass composite with a gel coat high gloss finish for beauty and durability. 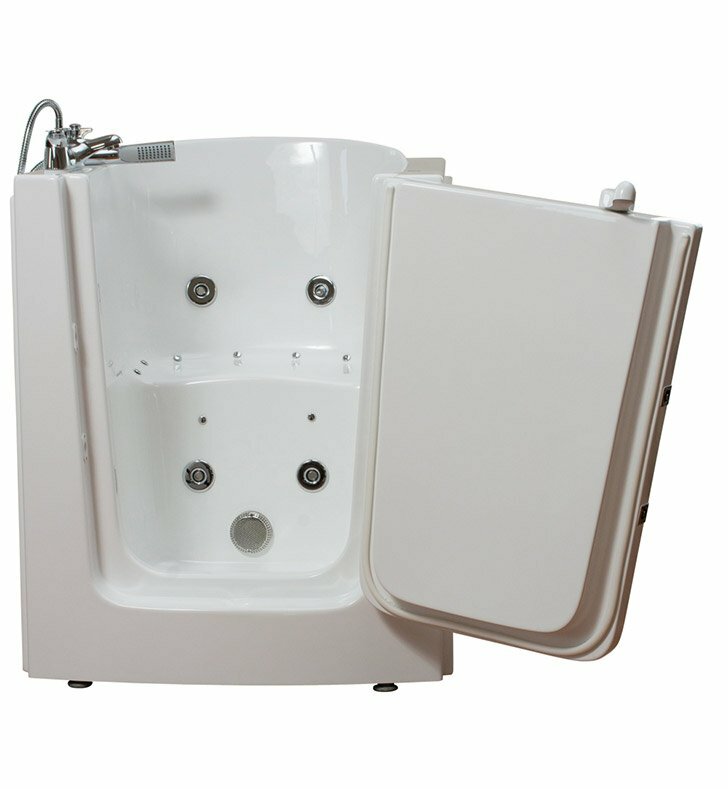 It is supported with a durable stainless steel frame. 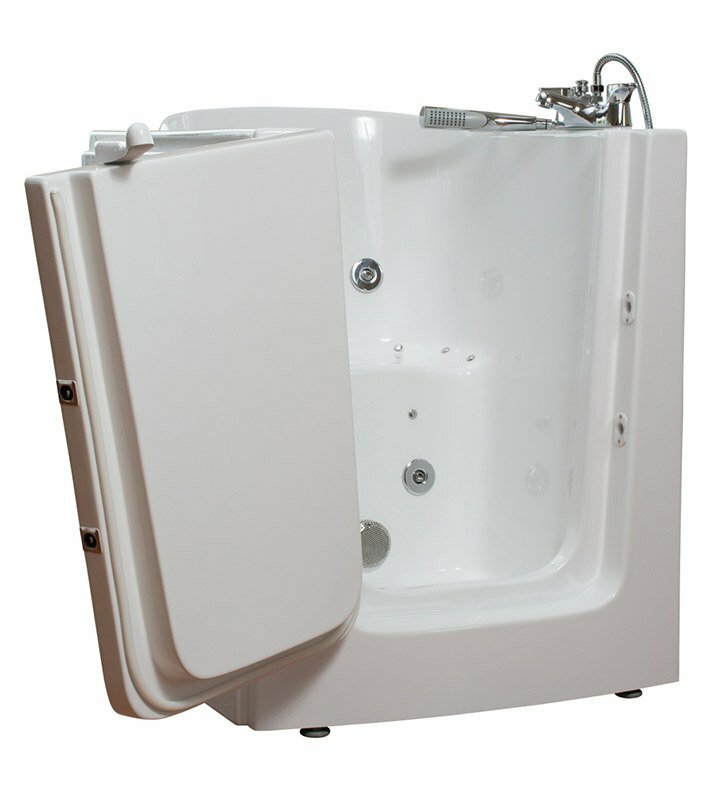 As with all of our durable high gloss finish gel coat walk-in bathtubs, this walk-in tub includes an anti-slip floor, low step for easy entrance, and a high quality single valve faucet with a hose and hand shower. 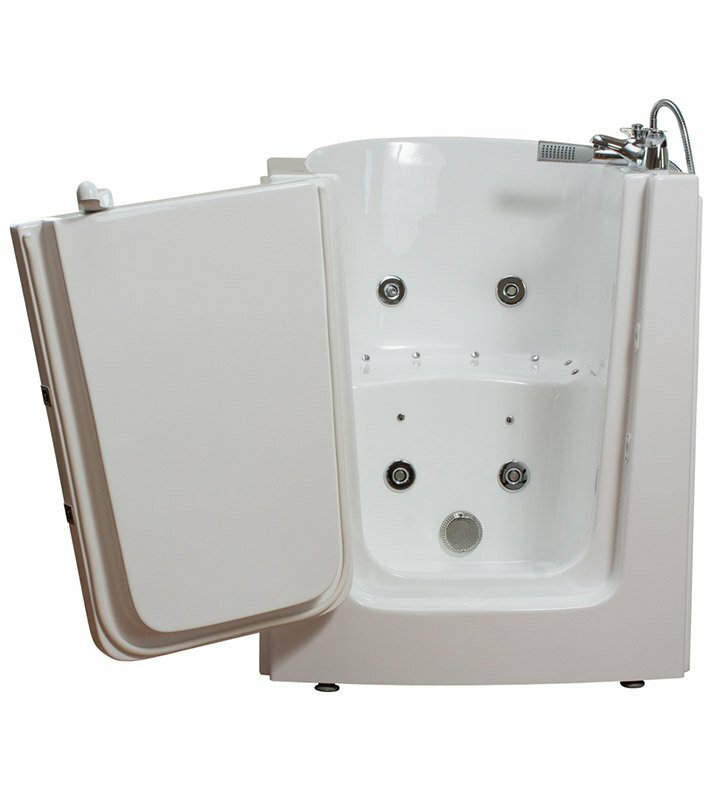 You can chose from left or right hand side door hinge, the soaking model or the massage model which is equipped with air, hydro or dual therapy massage options.